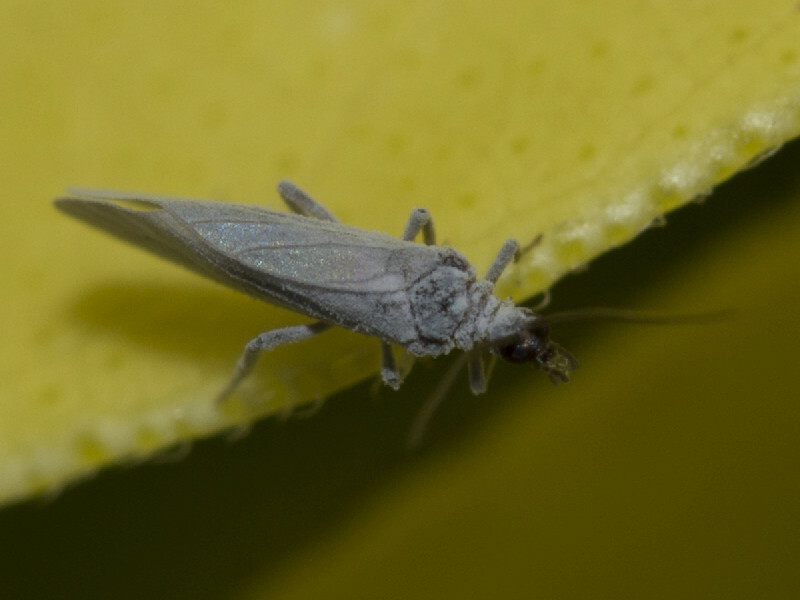 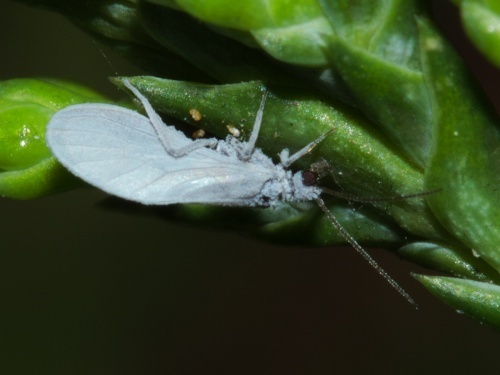 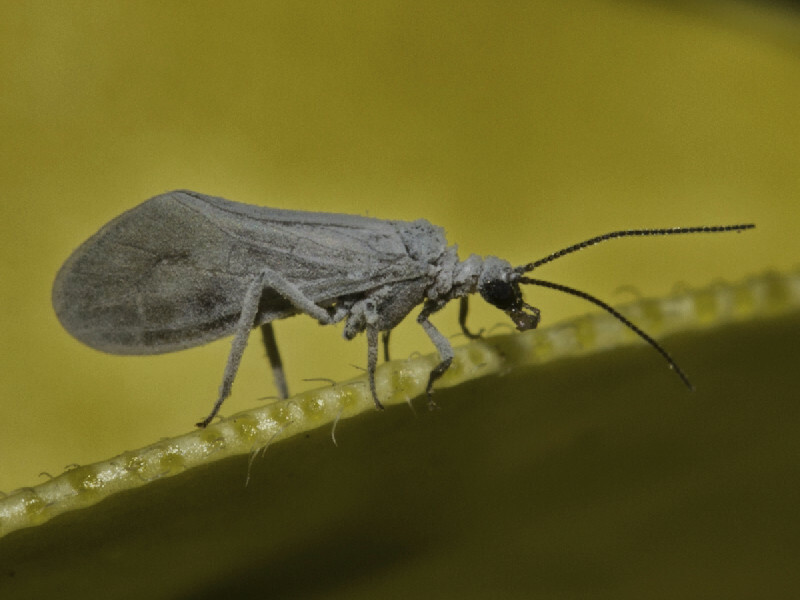 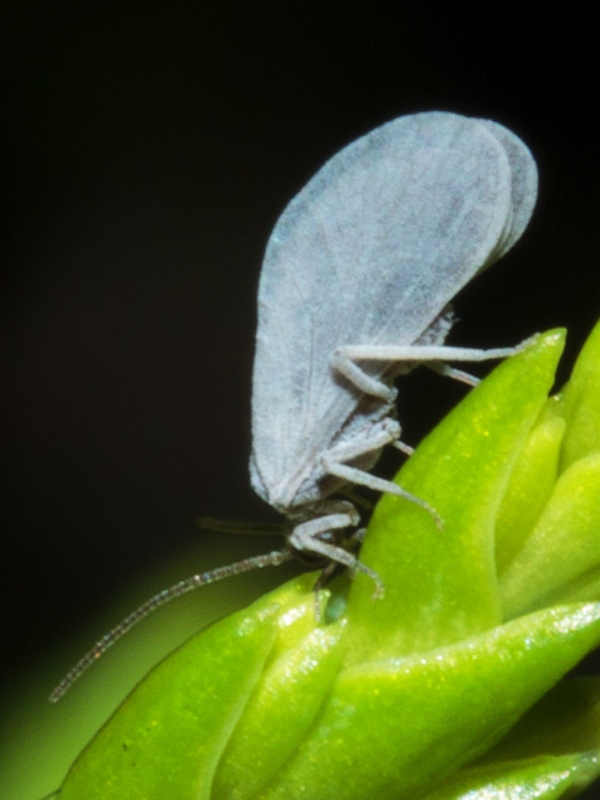 These are small grey-white winged insects related to lacewings. They are often known as waxwing lacewings or dustywing lacewings. 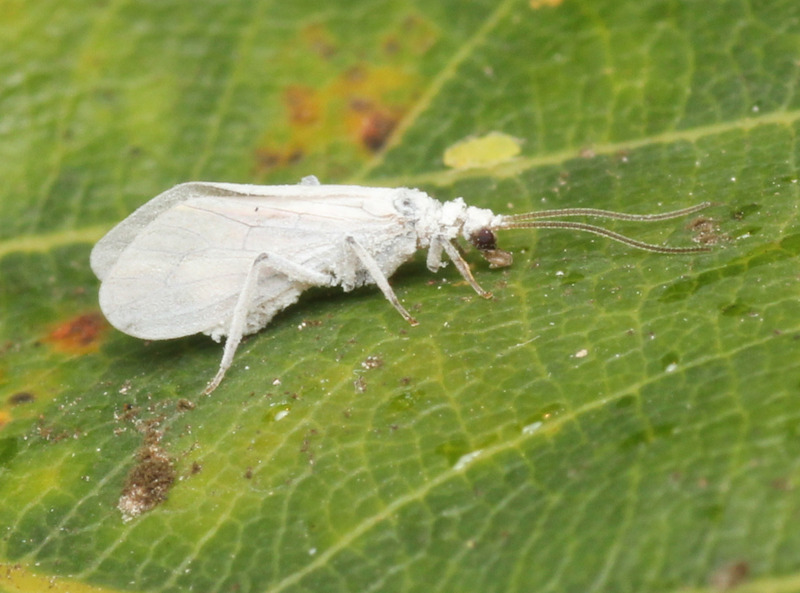 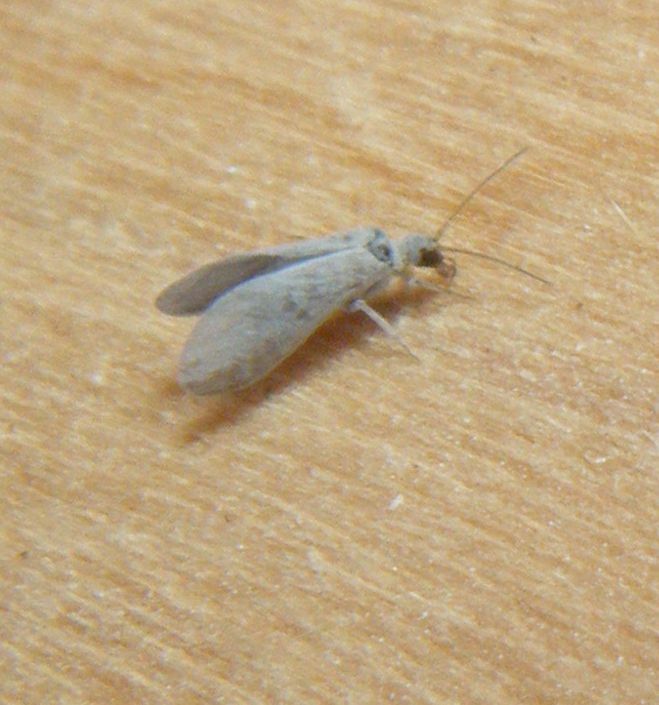 The wings have a dusty appearance caused by a white waxy substance which the insect produces itself.